1. BOSTON, MASS.- The Museum of Fine Arts, Boston, has announced a $24 million renovation project that will create a state-of-the-art Conservation Center comprising 22,000 square feet and six laboratories. The transformational renovation is supported by gifts, grants and MFA funds, completing the largest fundraising effort for conservation in the Museum’s 146-year history. The new space will provide advanced technology and foster a more interdisciplinary and collaborative approach among conservators. Additionally, the renovation project, which is scheduled to begin in 2017 and be completed in 2019, allows the Museum to convert 12,000 square feet of space into future galleries for Asian, European and Ancient World displays. The $24 million project is supported by the Sherman Fairchild Foundation, Honorary Trustee Rose-Marie van Otterloo and her husband Eijk, anonymous donors and MFA funds. 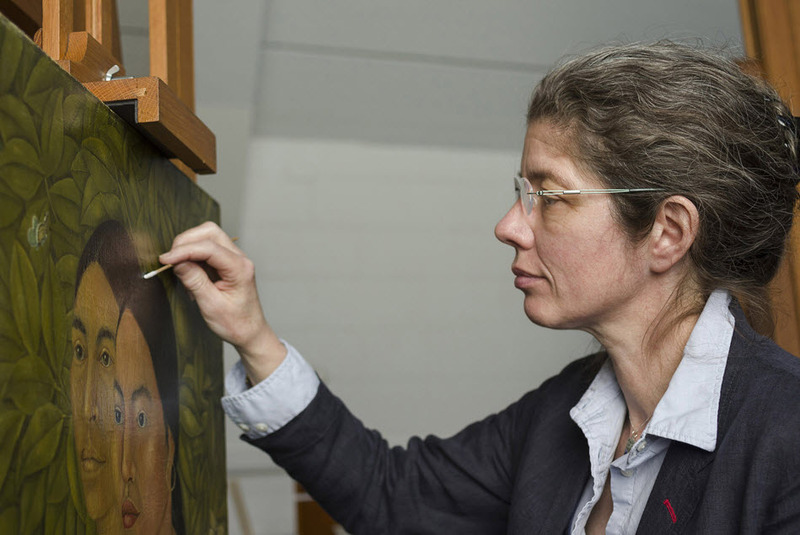 The paintings conservation lab has been named the Rose-Marie and Eijk van Otterloo Paintings Conservation Studio. The new Conservation Center will consist of six collaborative laboratories for paintings, objects, frame and furniture conservation, as well as mountmaking and exhibition preparation and scientific research. The MFA’s Asian Conservation Studio, Virginia Herrick Deknatel Paper Conservation Laboratory and Gabriella and Leo Beranek Textile Conservation Laboratory will remain in their current locations. Featuring upgraded technology and air-handling systems, the new Center will have open floor plans with heightened ceilings that maximize use of natural light, and increased area for public interaction. Additional improvements include direct access to the freight elevator and renovated loading dock, which will facilitate transportation of large-scale paintings, sculpture and furniture. In addition to allowing conservators to share equipment and expertise, the combined laboratories will provide examination and meeting rooms where they can work closely with curators, scientists and technicians. The Conservation Center will also increase the MFA’s capacity to provide high-quality training for future museum professionals. The MFA’s commitment to care for its collections at the highest level has always been central to its mission. In the late 19th century, following the opening of the Museum in 1876, consulting specialists were engaged for repair and restoration of artworks as needed. In the early 20th century, several curatorial departments created staff positions for conservation. These efforts were formalized in 1929, when the MFA established one of the nation’s first museum research laboratories. Over the decades, the conservation department has grown to encompass a total of more than 60 staff members and nine laboratories, which are currently located throughout four floors and four wings of the Museum. Over the past five years, the MFA’s conservation department has averaged 4,800 object examinations and 750 treatments on works ranging from paintings and furniture to objects and textiles. In addition to performing restoration treatments, they examine and evaluate artwork and develop and implement methods to ensure the safety and stability of objects. Their efforts can be seen across the Museum—including Frida Kahlo’s Dos Mujeres (Salvadora y Herminia) (1928), a recent acquisition on view in the Art of the Americas Wing that was recently treated to remove discoloration, and Giovanni Francesco Rustici’s St. John the Baptist (about 1505–15), on view in Della Robbia: Sculpting with Color in Renaissance Florence, which was cleaned and extensively studied for further understanding of its modeling and materials. Visitors can also see conservators at work in the MFA’s Conservation in Action gallery, which currently features the monumental painting Devout Men Taking the Body of St. Stephen (1776) by Benjamin West and the 15th-century Monopoli Altarpiece from southern Italy. Additionally, the Museum highlights ongoing conservation efforts with the hashtag #mfaConservation on Instagram and Twitter, as well as an “MFA Conservation” playlist on YouTube. 2. SCOTLAND Physical maps may be disposable or obsolete today, but during the 17th century they were invaluable and prized documents. Naturally, it came as a bit of a shock when experts at the National Library of Scotland received a gift of a rare map by a well-known engraver that had been shoved up a chimney and forgotten for centuries. Now, thanks to some hard work by expert conservationists, the map has been thoroughly cleaned and restored. In the late 1600s, fine maps were prized possessions that were often owned by the very, very rich—and the Dutch engraver Gerald Valck was one of the best at the time. 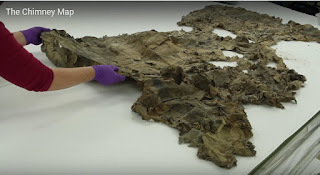 Before it was rolled up and stuffed up a chimney in Aberdeen, the approximately 7-foot-long, 5-foot-tall map was one of just three copies Valck made of a intricately detailed map of the world, the BBC reports. Unfortunately, chimneys don’t make the best storage spaces, preservation-wise. While Thomson and her colleagues were unable to save the entire map, they managed to successfully restore sections of it to close to its original appearance, while preserving it for future study and display, Sarah Laskow writes for Atlas Obscura. Now, after countless hours of humidifying, flattening, dry cleaning, brushing and soaking, the delicate details of the map’s designs are once again there for all to see. 3. NEW YORK, NY.- Sotheby’s announced the establishment of a Scientific Research Department led by renowned scientist James Martin, who will join Sotheby’s this week following the acquisition of his firm, Orion Analytical. Employing state-of-the-art technical and scientific methods, the new department will complement the world-class expertise and provenance research behind the works of art, objects and wine offered by Sotheby’s. Bringing scientific expertise in-house mirrors a trend seen in the world’s great museums and places Sotheby’s in a position to provide even greater service to collectors. “Sotheby’s has had the pleasure of working with Jamie for the better part of the past two decades, and over time it became increasingly clear that rather than work on a one-off basis we could create something unique within Sotheby’s that would further distinguish us in the marketplace and at the same time help to make the art market a safer place,” said Tad Smith, Sotheby's CEO. Over four decades, James Martin has developed a unique and peerless skillset as a scientist, art conservator and teacher. 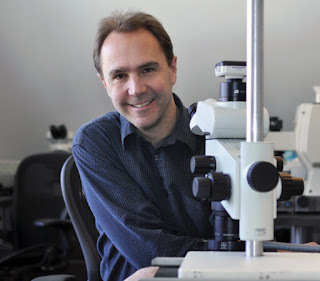 He has undertaken more than 1,800 investigations for clients on five continents, and taught at The Getty Conservation Institute, The Smithsonian’s Museum Conservation Institute, and the FBI’s Counterterrorism and Forensic Science Research Unit. He also holds academic appointments at New York University and Williams College. James has conducted art fraud investigations for the FBI for twenty years, and played a central role in the most significant forgery investigations of recent times. Some of the techniques employed by James include: technical imaging, magnified visual inspection, elemental analysis, and molecular analysis. His work on cultural property from ancient Egyptian artifacts to contemporary paintings can detect anomalies and anachronisms that raise questions about the attribution or age of works, or prove works misattributed or fake. As part of the attribution and valuation process, his work can provide investigative leads and test hypotheses of specialists and researchers.